Most of the cathedrals I’ve seen are hundreds and hundreds of years old. It’s the rare opportunity to see one under construction. 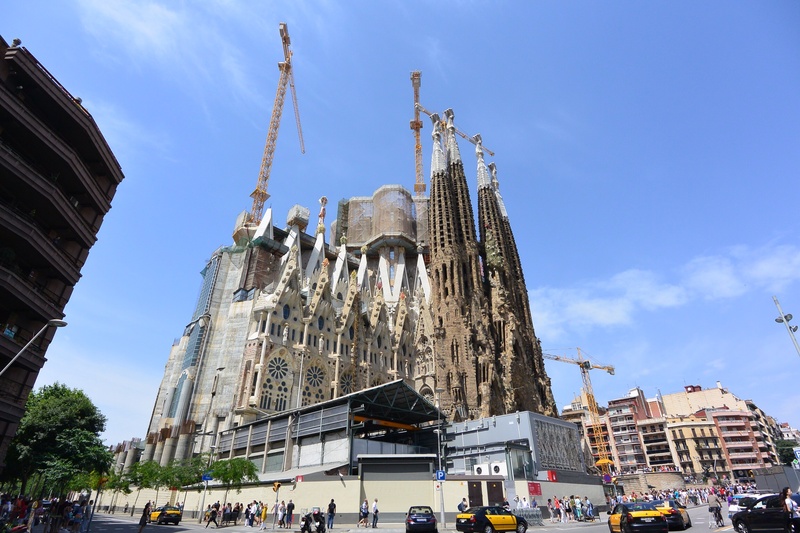 However, in Barcelona, Spain, you can see La Sagrada Familia in the works. 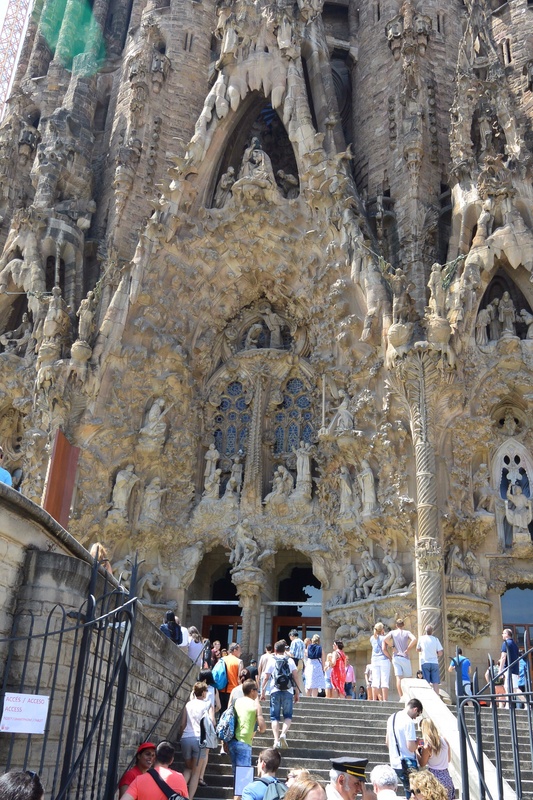 While I’m not a fan of Gaudi, I must admit, this cathedral is spectacular. The detail is as dramatic as the sweeping spires. Entrance to La Sagrada Familia, Barcelona, Spain. Be sure to get your tickets in advance. If not, you’ll wait literally hours to get inside. And it’s worth it! So get those tickets and see this place. Magnificent. Didn’t know they made them like that anymore .